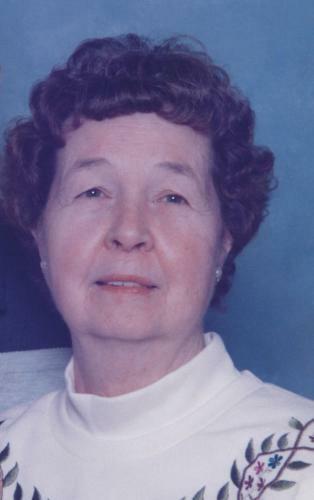 Ruth Ann Miller, 84, of Port Carbon, passed away Saturday, Jan. 26, 2019, at Lehigh Valley Hospital-Cedar Crest, Allentown. Born in Port Carbon, Sept. 24, 1934, she was a daughter of the late Jacob and Ruth Salen Krebs. Ruth was a graduate of Soldiers Memorial High School, Class of 1952. She was a member of Jerusalem Evangelical Lutheran Church in Schuylkill Haven and the Port Carbon Senior Citizens. In addition to her parents, she was preceded in death by her sister, Arlene V. Krebs. Ruth is survived by her husband of 60 years, Lee A. Miller, Port Carbon, and her daughter, Tammy and her husband, Kevin Seibert, Pine Grove. A religious service will be held at 10:30 a.m. Friday, Feb. 1, at Jerusalem Lutheran Church in Schuylkill Haven with the Rev. David Rowe officiating. Relatives and friends are invited to a viewing from 9 to 10:30 a.m. Friday at the church. Interment will be held in Schuylkill Memorial Park in Schuylkill Haven. In lieu of flowers, memorial contributions may be made to Jerusalem Evangelical Lutheran Church, 255 Dock St., Schuylkill Haven, PA 17972. The Robert A. Evans Jr. Funeral Home, 208 Pike St., Port Carbon, is in charge of arrangements. Please send condolences to www.robertaevansjrfh.com.